Hats off to the champions! Hats off to GMT94 Yamaha, winner of the 2016-2017 FIM endurance world championship after the grand finale, the 40th anniversary of the Suzuka 8 Hours – the concluding race of a hotly fought season. Yoshimura Suzuki Motul Racing kept up the fight for the entire 8 hours. After starting a climb back up from the bottom of the standings in the wake of a crash, the Japanese Suzuki team was 7th past the chequered flag at the Suzuka 8 Hours. The post-race scrutineers at the Suzuka 8 Hours found all the machines to be in compliance with regulations. The provisional results of the 2016-2017 FIM EWC grand finale, the 40th anniversary of the Suzuka 8 Hours, have therefore been confirmed. A look at the provisional world standings at the halfway mark of the 2016-2017 FIM EWC grand finale, the 40th anniversary of the Suzuka 8 Hours. Two hours into a very eventful race, Yamaha Factory Racing Team has settled into the lead at the Suzuka 8 Hours. Katsuyuki Nakasuga confirmed Yamaha Factory Racing Team’s pole position in the Top 10 Trial, ahead of Yoshimura Suzuki Motul Racing and Kawasaki Team Green. 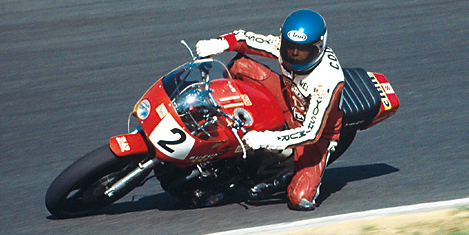 The Japanese organisers of the 2016-2017 FIM EWC grand finale, the 40th anniversary of the Suzuka 8 Hours, have invited some of the legendary riders who have marked the history of Japan’s most famous race. Several crashes punctuated a long day’s testing at Suzuka. The favourites weren’t spared either. The tension is palpable at the 2016-2017 FIM EWC grand finale, the 40th anniversary of the Suzuka 8 Hours. The momentum of its two previous wins at the Suzuka 8 Hours, Yamaha Factory Racing Team gave the upper hand right from qualifying at the Suzuka 8 Hours. The Japanese factory Yamaha placed ahead of Yoshimura Suzuki Motul Racing and Musashi RT Harc-Pro Honda.